Press Release Source: Video Display Corporation On Thursday October 6, 2011, 9:20 am EDTCAPE CANAVERAL, Fla., Oct. 6, 2011 (GLOBE NEWSWIRE) â€” Video Display Corporation (Nasdaq:VIDE) is pleased to announce that its simulation division, VDC Display Systems (VDCDS), has launched two new display products for use in military and commercial flight simulators. Based on VDCDS's extensive experience of high resolution projector design, the SSL6250 (1920 x 1200) and SSL6050 (1920 x 1080) LED projectors have been successfully verified by independent experts to meet and/or exceed Federal Aviation Administration (FAA) Level D full-flight simulator requirements, the strictest standard in use for full-flight simulation systems. Furthermore, as the design has no consumables or moving parts, it is virtually maintenance free. Marcial Vidal, VDCDS President, states, â€œThe SSL6250/6050 LED projectors were specifically designed for flight trainers and address most, if not all, recurrent lamp replacement and regular readjustment issues, thus providing sustained, dependable image use and quality.â€ The SSL6250/6050 LED projectors are professional-quality projectors designed and manufactured to VDCDS's exacting requirements for providing ruggedized solutions for use in mobile platforms specifically to withstand consistent industrial use. LED light sources, having an operating life of 50,000 hours, eliminate the need for frequent lamp replacement and set up associated with lamp-based projector systems. 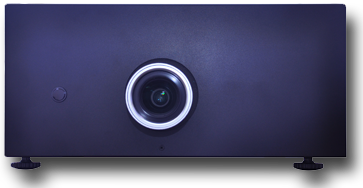 The SSL6250/6050 projectors include VDCDS's new LED control module, which appreciably increa ses project or light output while retaining black level and LED long life. In addition, the new project ors feature motion blur reduction and Infrared (IR) illumination to stimulate Night Vision Goggles (NVGs) in a seamless display for day and night scenes necessary for demanding military trainers. lamp failure/aging will no longer be a factor. 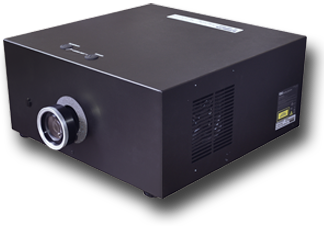 Additionally, the new SSL6250/6050 projectors offer low power consumption which directly translates to lower cooling needs and operational cost reductions. Video Display Corporation designs, develops and manufactures unique solutions for display requirements for military, medical and industrial uses with emphasis on high-end training and simulation applications. 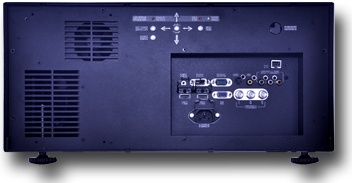 Its product offerings include ruggedized LCoS, CRT and AMLCD displays as well as complete projection display systems utilizing VDC Display Systems Ma rqueeTM and ESCP line of projectors. Video Display Corporation operates eight sales, design and manufacturing facilities throughout the United States and Europe. For more information, visit the Company's web site at www.videodisplay.com.